Sometimes you can tell a lot about a cat from his name. In the case of Hellman’s, he’s a stray tuxedo cat who found the lure of a jar of mayonnaise a little too tempting–to the point where he got his head stuck inside the receptacle. 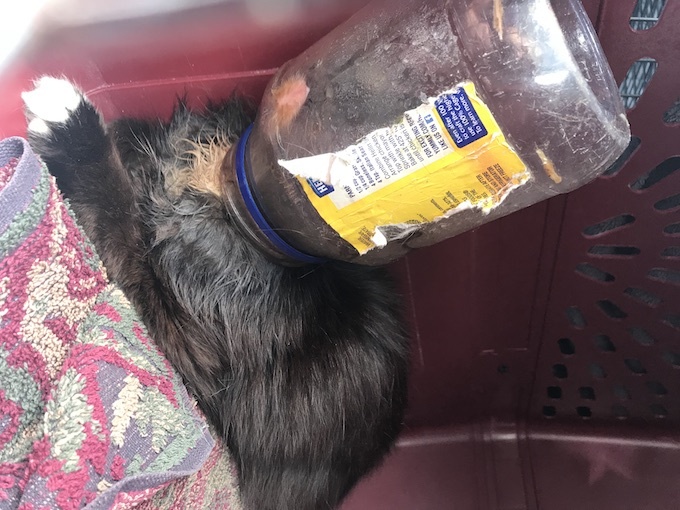 The incident came to the attention of the Tabby’s Place cat sanctuary in New Jersey when neighbors noticed Hellman’s struggling with his head firmly stuck inside the mayonnaise jar. 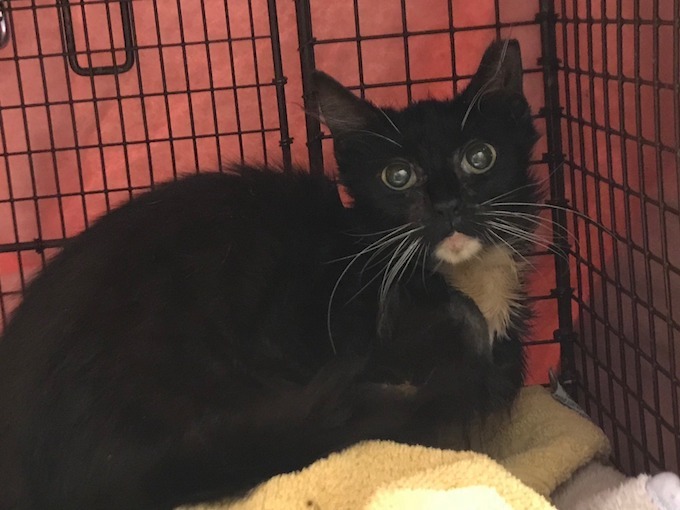 After an emergency vet sedated Hellman’s and helped slide him out of the jar, he was neutered, vaccinated and microchipped and whisked away to the safety of the Tabby’s Place grounds. 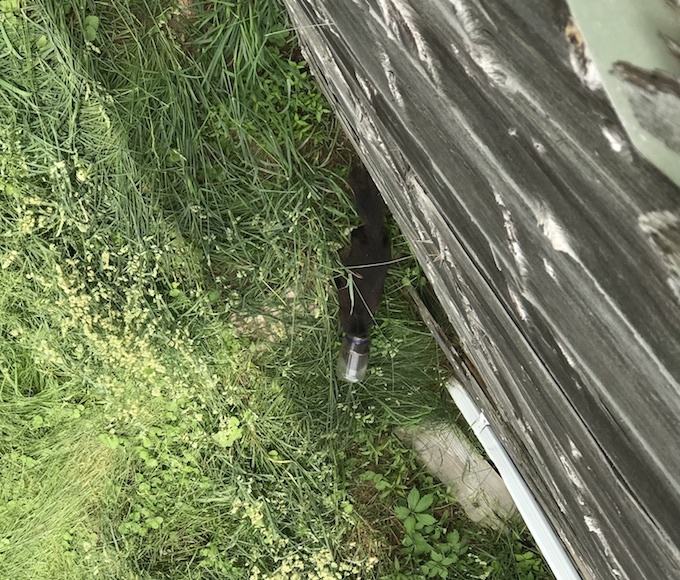 As Hellman’s a feral cat, he’s now moved into a nearby barn. Check out his jubilant run home in the video below.